This is a great HAND-SIGNED new copy of Why Soccer Matters! You could own this book that has been authentically autographed by this incredible author and soccer player. 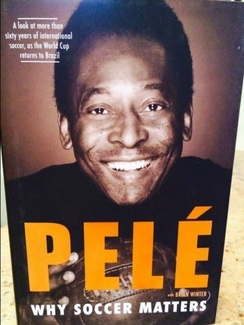 We never sell copies or reproductions of any kind; this book has been hand-signed by Pelé. This book was signed in-person at Barnes and Noble in New York City on March 20, 2014.